Our profound knowledge and industrial proficiency enable us to offer an illustrious variety of NON IBR Boilers. We fabricate this boiler employing pristine-grade raw material and cutting edge technology so as to preserve the set industry norms. To make a perfect dispatch from our end, our offered boiler is thoroughly examined by our quality auditors against numerous constraints. Founded in year 1997, Shree Hari Sai Engineering Works, are counted amid the most illustrious company affianced in manufacturing, exporting and supplying NON IBR Boilers, Boiler Burners, Burner Spares, Furnace and Furnace Spares. Our offered products are fabricated under the stern supervision of skilled professionals by making use of topnotch grade material and with the help of highly advanced machines & tools. We are dedicated to lasting relationship with our patrons by offering them only optimal quality products. 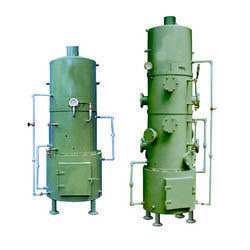 Under the above mentioned categories we offer NON IBR Boilers, Oil Boiler Burners, Gas Boiler Burners, Duel Fuel Burners, Gas Ignition, Burner Pilot, Air Swirlers, Spin Diffusers, Furnace and Evaporation Cooler Spray Lances. These products are designed by knowledgeable professionals, in tune with the guidelines of the industry. Our key objective is a prospering and growing business where our patrons, co-workers, ownership and community will benefit. Offered products are administered by our skillful personnel at every stage of fabrication, so as to preserve their quality standard and remove faults, if any. We also offer these products in modified range, with a purpose to fulfill the divergent necessities of the patrons across the region.